Whether you're a professional or just starting out, you'll appreciate the qualities of these amazing tools. 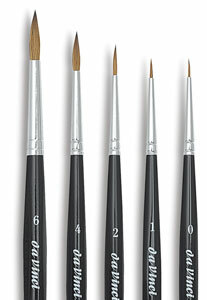 These extra sharp watercolor brushes are handmade by Da Vinci from pure Russsian Red Sable winter tail hair. Perfect for detail work. 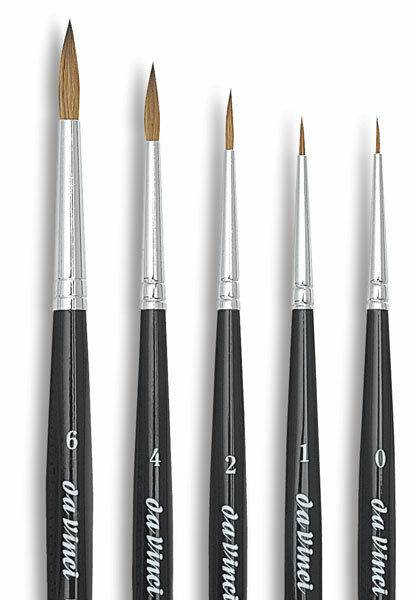 This five-brush set contains Series 36 Round sizes 0, 1, 2, 4, and 6.